Which Budget Smartphone Should You Start With? Smartphones have changed the way we communicate with each other. There’s no arguing that. Almost everyone has a smartphone these days, no matter how tech savvy they are. I still remember the first mobile phone I bought (or my parents bought for me). It was the Nokia N86 8MP. 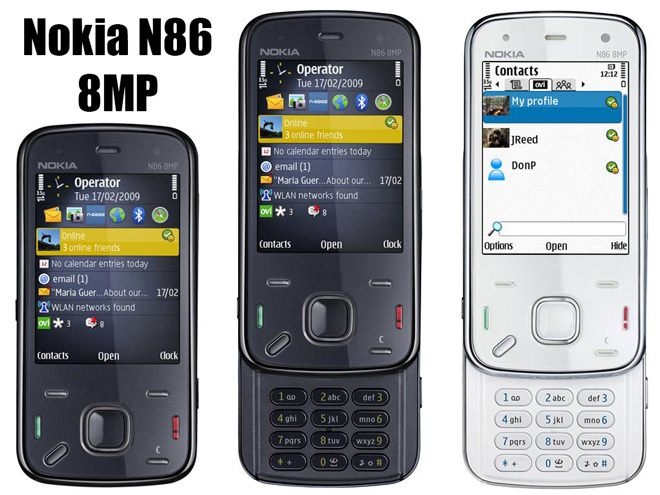 While Nokia’s NSeries isn’t considered to be the starting point of “true” smartphones (that credit goes to the Apple iPhone), the N86 was by all standards a smartphone. Look at this beauty. Quite thick, but it was marvelous! The N86 was quite costly at the time I purchased it; around ₹22,000. It was quite strange for a first-time mobile user to buy this phone, but I’d done my research. I used to follow tech news a lot (and still do), and this phone had won me over. It was one of the best high-end smartphones you could buy at that time. Android had just started then; it was still in its nascent stages. The N86 was not the best, nor the costliest smartphone, but it was great; sort of perfect. Top-notch camera (seriously, it was one of the best at that time, and still is). Amazing music capabilities. Access to third-party apps (they were very primitive then). Great keypad. Dual-slider for playing games and multimedia controls. Good build quality. 8GB inbuilt memory (that was a lot at that time). OLED screen. Memory expansion (I had expanded it by 16GB). It also had a physical camera shutter, a retractable lens cap, and an active kickstand. I’d even rooted my phone to unlock its potential (also called piracy). Oh Symbian, you beauty! The world might not miss you, but I certainly will one day. It was a different world altogether then (as far as mobile phones are concerned); a limbo between feature phones and the advanced smartphones of today. Damn. I was such a tech geek then. I’ve lost at least half my mojo now (or not). Which smartphone should you start with? I was just having a discussion with one of my friends a few days back. His sister hasn’t used a smartphone yet, but wants to get started with one now. Thankfully, there are a lot of choices to pick from. But sadly, there are also too many choices to pick from. Now, if you don’t mind spending a lot, I’d suggest you to pick the best from any of the top manufacturers. Apple iPhone 6, Nexus 6, Moto X and Samsung Galaxy S5 / Note 4 are prime picks (a high-end Lumia if you like that). There are other alternatives from new-age manufacturers such as Xiaomi and OnePlus which are also quite decent and great value-for-money. The choice is entirely up to you, but only if you have deep pockets (or your loved ones do). However, if you’re planning to get a smartphone just for basic usage such as calls, messaging, camera, music, basic web browsing, social media, and some apps, it doesn’t make sense to invest so much money in an advanced handset. A basic smartphone is all you need to get started. If you’d asked me which basic smartphone to buy a few months ago, I’d have suggested you to buy the Nokia Lumia 520. It’s a great smartphone for basic users. But with MS getting their hands dirty with Nokia’s mobile division, I don’t see where its future lies. They still have a lot of potential, but you shouldn’t base your buying decisions on that. Fortunately, Android has come a long way in ensuring that it isn’t a bloat anymore. If you’d used any budget Android smartphone more than a year ago, you’d have realized what I’m speaking about. It was a nightmare for users. That’s all in the past now. The change started with Moto G, one of the best budget Android smartphones. It was followed by an even cheaper handset, the Moto E.
Google went all out to make sure that Android runs as good on budget handsets as it does on costlier ones. The rest is history. Android holds over 80% of the smartphone marketshare today. It’s projected to grow even more in the coming months. Motorola Mobility made the best budget smartphone even better this year by launching the 2nd generation Moto E.
It’s everything you need in a smartphone! While it’s a bit more expensive than the previous model, the additional features included this time around make this handset really stand out. Let’s discuss its various features and find out why you should #ChooseToStart with the new Moto E! Moto E follows the same curved-back design as its predecessor. It’s feel great to hold in your hands. Even though this is a budget phone, you don’t feel like holding one when it’s in your possession. The elegant design is sure to win you over. Motorola is famous for making sturdy phones (remember Moto Defy?). The same can be seen in the new Moto E. It feels solid, though it’s made out of plastic. While it doesn’t feel as premium as an iPhone or a Lumia (which are way costlier anyway), I’m yet to experience a phone as durable as this in its budget range. Motorola has upgraded the screen from 4.3-inches to 4.5-inches in the latest Moto E. It doesn’t sound that big of an upgrade, but more screen real estate is always welcome; especially when it’s paired with a bigger battery. It feels much better to hold this in your hands than the old Moto E. Plus, watching videos is always more fun on a bigger screen. The new Moto E is powered by a snappy 1.2GHz quad-core Snapdragon 410 processor and 1GB of RAM. It can handle anything you throw at it, but within limits. Watching videos on YouTube, messaging with WhatsApp, playing casual games, taking pictures, or just about anything you can do with any other premier smartphone, this can do it too. It only struggles when you try to run too many apps concurrently. I’d say that a fair trade-off for a budget smartphone. The in-built memory has also been upgraded to 8GB from 4GB. It’s not as restrictive as the previous model. You can install more apps and store more data (music, pics, videos, etc.) on your new Moto E.
This is my favorite feature of Moto E (2nd Gen). Motorola has updated the battery capacity in this new model to 2,390mAh. This is a massive improvement over the previous generation’s 1,980mAh capacity. Combined with Android Lollipop’s superior power management features, you can get up to two days of battery life from this puppy. How awesome is that? You bet it is. It runs on the latest Android version (5.0 Lollipop). Motorola promises quick updates as and when a newer version of Android comes out, and they’ve lived up to their promise until now. You shouldn’t be worried about updates when you buy a Motorola handset. That’s one of their unique selling points. I have two things to say about the Moto E’s 5-megapixel camera. It’s great to shoot outdoors and in bright daylight. It’s pathetic in low light conditions, and it doesn’t have flash either. The camera is decent enough to upload pics on Facebook, Instagram, or message it to your friends over WhatsApp. Don’t forget that it’s a budget smartphone. The camera is still one of the best among its competitors. If you’re looking for a budget smartphone within ₹7,000, the new Moto E is your best bet. It’s great value-for-money. Motorola has combined all the best features of smartphones in an impressive package. Whether you want to get started with a smartphone, or want to buy it for someone else, you can’t go wrong with the 2nd generation Moto E.